I think everyone's had moments when they've wished they could look into the future or thought, gee, I sure wish I'd had some warning that was about to happen. 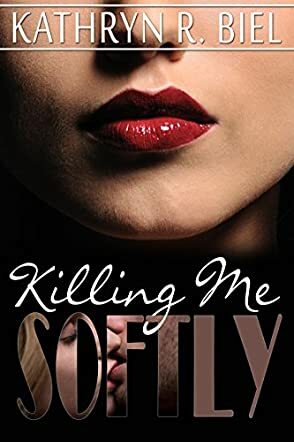 But when just that scenario starts to happen in the life of Sadie Perkins, the protagonist in Kathryn R. Biel's new novel, Killing Me Softly, it turns out not be such a great gift at all. You see, Sadie's had a sixth sense for a while, and especially about people dying, not exactly the most pleasant of experiences. Her long term relationship has just ended, and Sadie decides she needs a new focus in her life. She purchases a fixer-upper house and starts the renovations on it. In walks contractor Max, and even though Sadie isn't exactly enthusiastic about starting a new relationship, Max is certainly interested in her. And first love Henry Fitzsimmons arrives on the scene at just the same time, making for quite the love triangle. But when Sadie's sister goes missing and Sadie's suspected in her disappearance, and she gets that familiar bad feeling about what may have happened to her sister, and her father passes away all at the same time, Sadie's attentions are understandably diverted. Killing Me Softly was an engaging, fun read and one that kept me turning the pages from the beginning until the end. In fact, once I picked up author Kathryn R. Biel's book, I simply could not put it down, and I read it all in one session. The author is able to write characters that are realistic and relatable, and with a sense of humor to boot. I think that any reader who enjoys a little mystery, a little suspense, and a little romance would very much enjoy Killing Me Softly, and I recommend this book. I certainly hope that author Kathryn R. Biel is hard at work on her next novel because I, for one, will be lining up to read it!